Do you balk at the convenience of e-readers? Not a problem. Your continued resistance to 21st century technology yields a unique design opportunity. 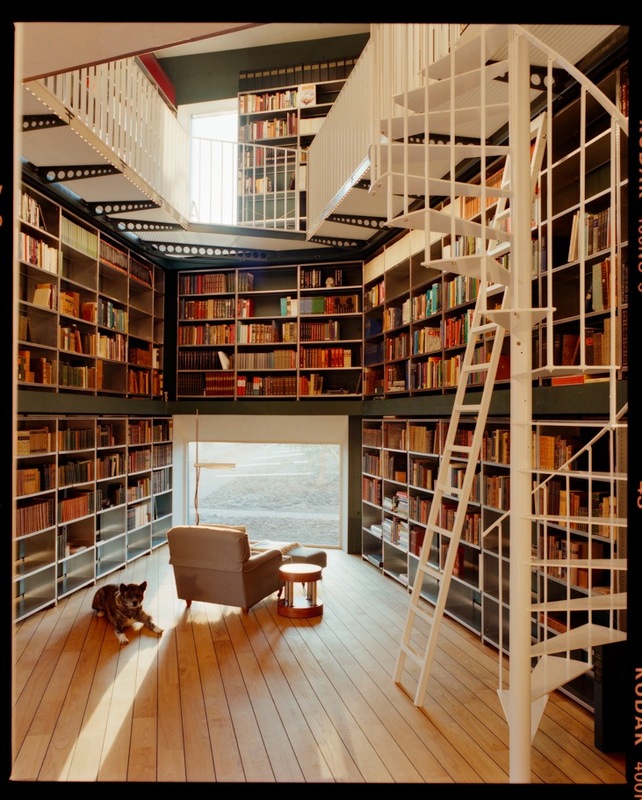 Despite its homey-quality, this loft-style library is part of an office building converted from an old cement factory in Barcelona, Spain. 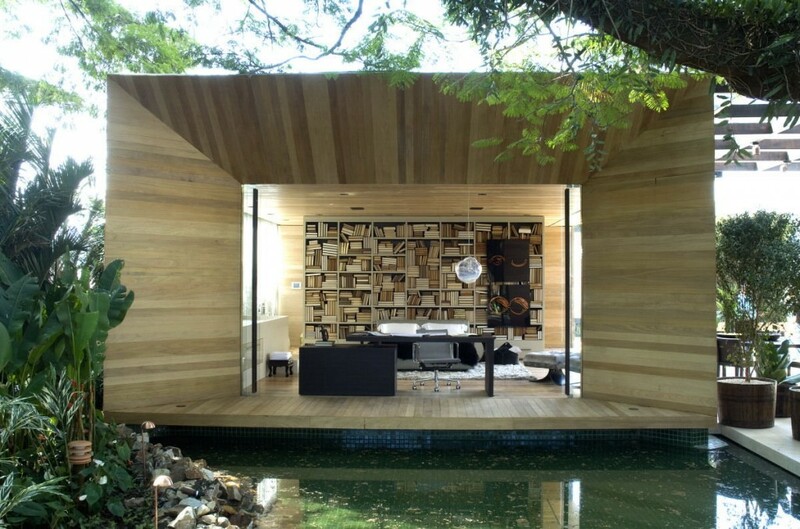 The tenants are also the designers: Taller de Arquitectura. 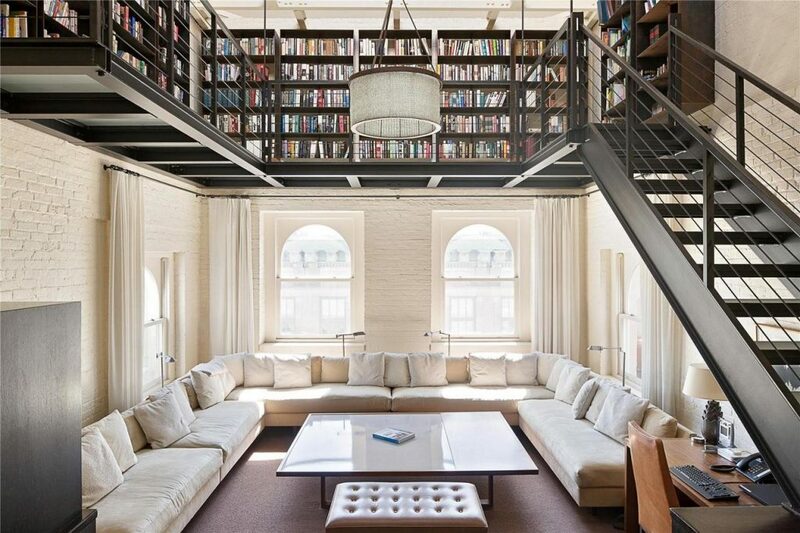 Part of a penthouse that occupies the top two stories of New York’s Dietz Lantern Building in Tribeca. 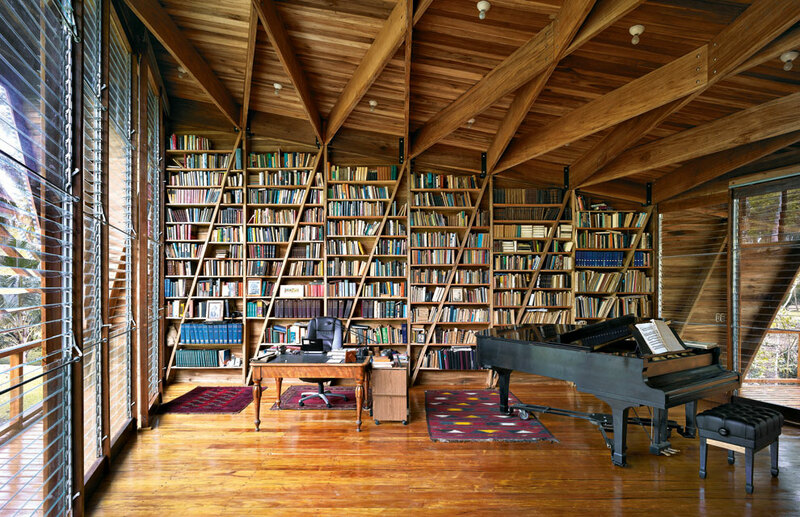 You can own this library and the four rooms that come with it for $22 million. 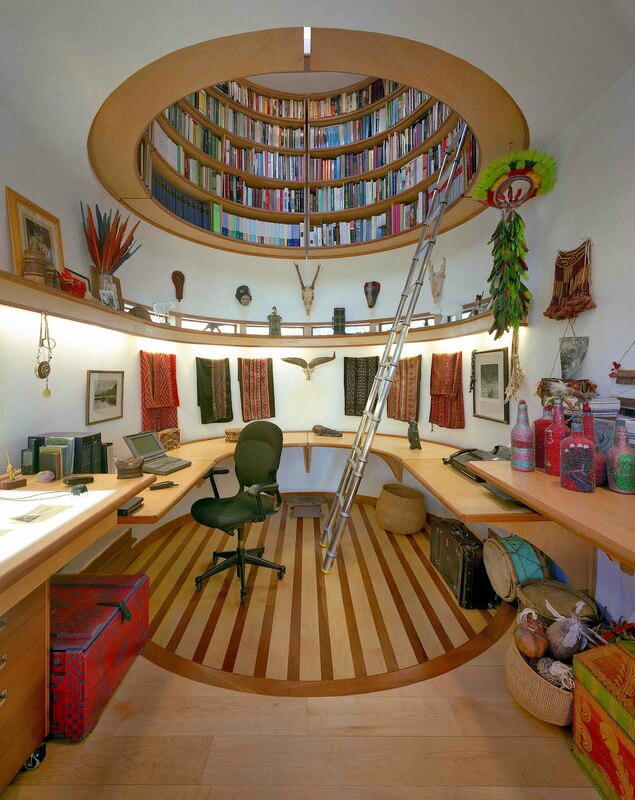 Who would have an overhead circular library custom built in their home? Real-life Indiana Jones and National Geographic explorer-in-residence Wade Davis, of course. 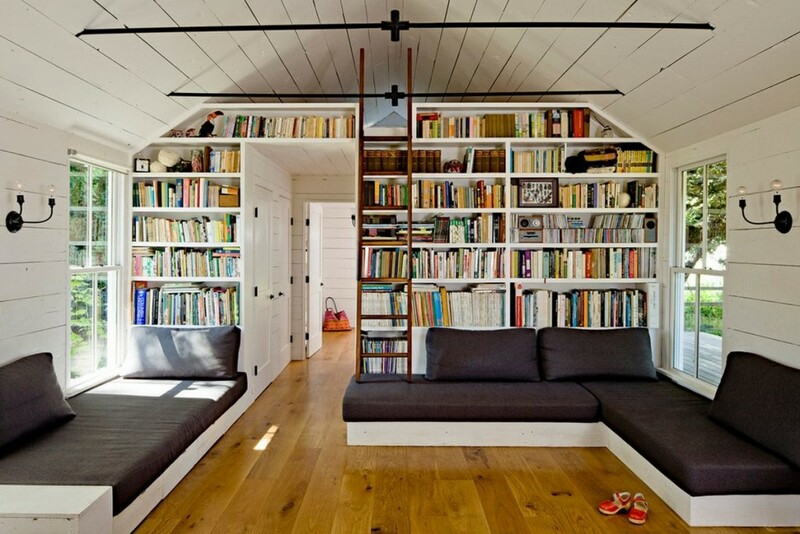 A look at designer Jessica Helgerson’s 540-square-foot Tiny House, located on Sauvie Island in the Columbia River, just 15 minutes from Portland, Oregon. This library in Lviv, Ukraine is part of the famed House of Scientists, designed by Fellner & Helmer in the late 19th century. Today the building serves a venue for cultural, political and scientific conferences. You can take a virtual tour here. 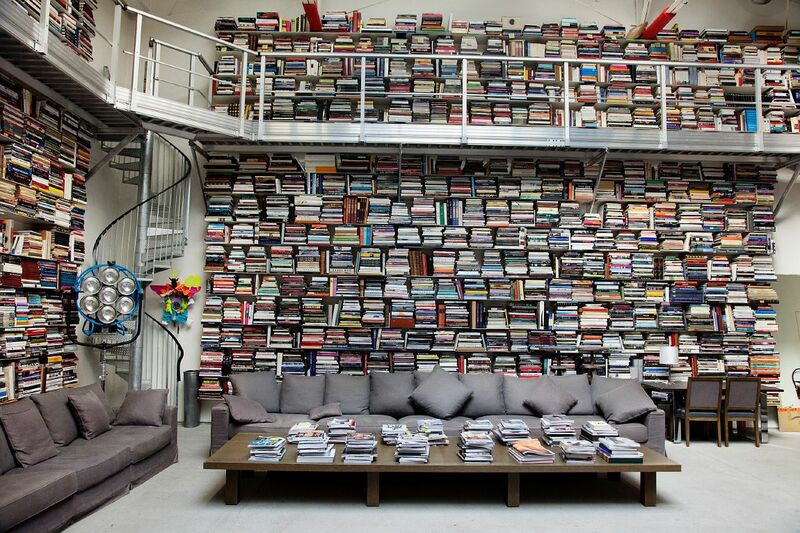 This is renowned fashion designer Karl Lagerfeld’s scholarly living room. We’re suckers for spiral staircases. 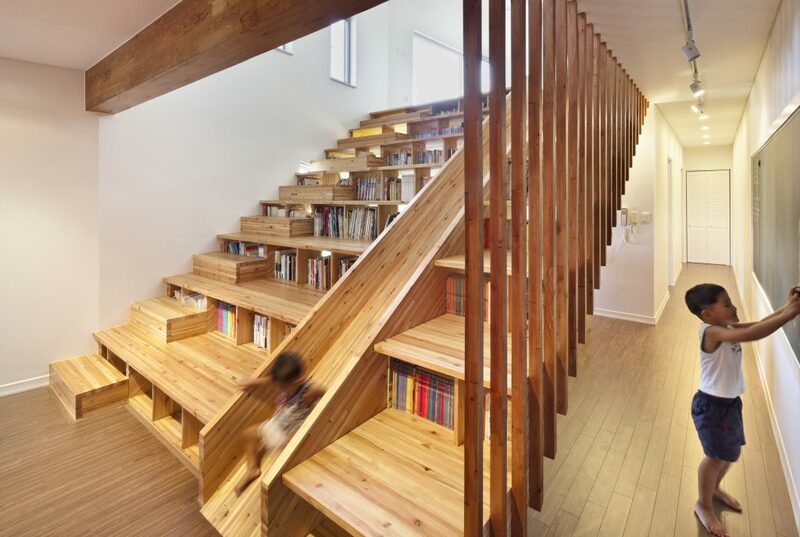 This space in South Korea’s Panorama House is at once a staircase, library and playroom for the kids. 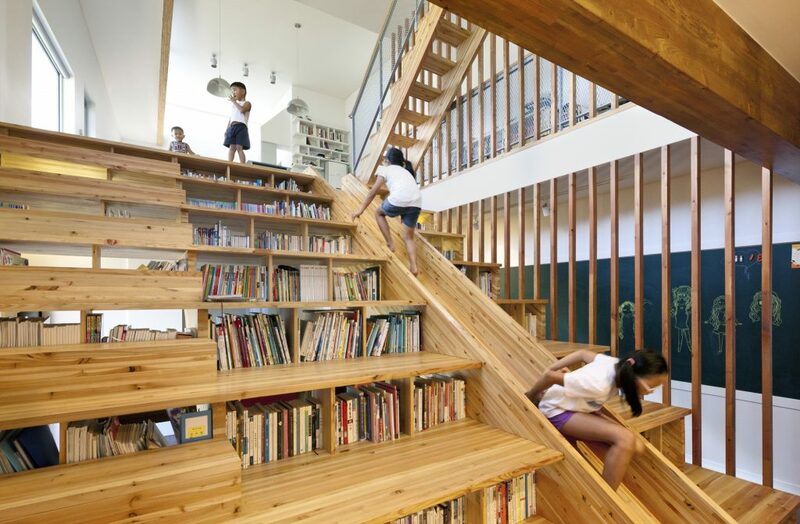 It was designed by architect Moon Hoon and previously featured in our look at the ever-popular indoor slide trend. From our indoor-outdoor room series, Fernanda Marques’ Loft 24/7 has a glorious outdoor office and reading nook you want to sit in right now. 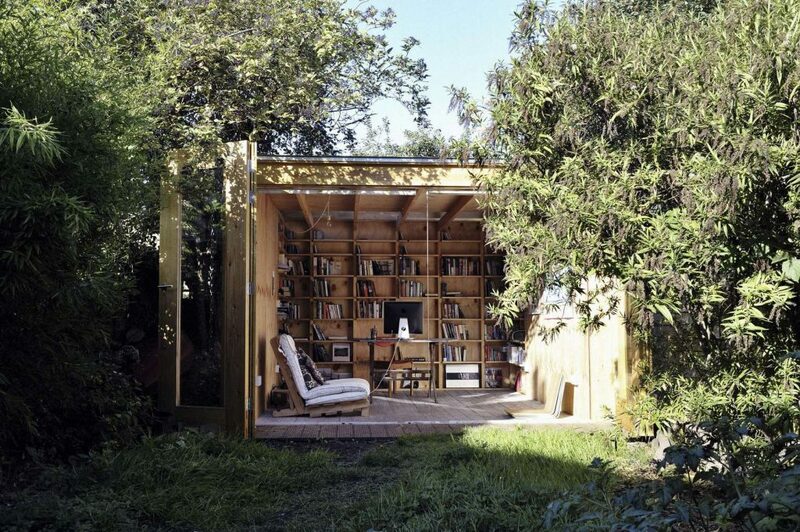 Staying with the outdoor theme, we’re also fond of the Hackney Shed library conversion project by Office Sian Architecture. 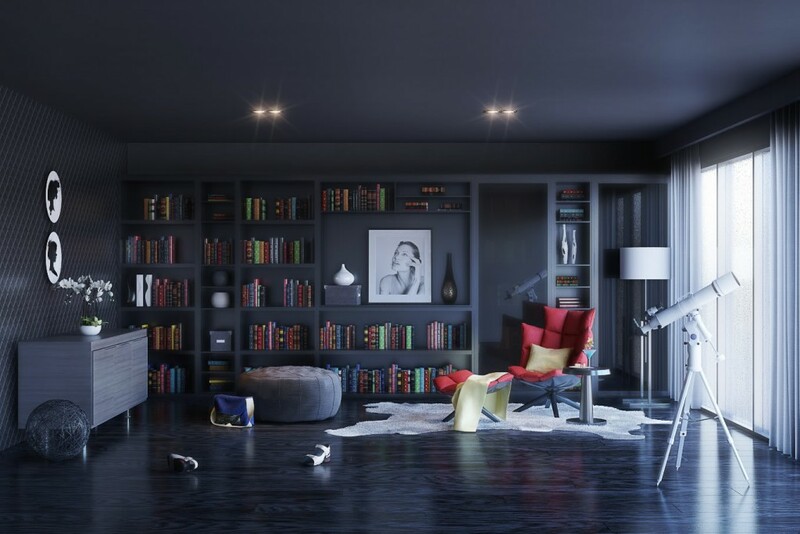 The books are obviously just for show, but the color contrast is still a nice touch. Organizing by author is a tad uninspiring. 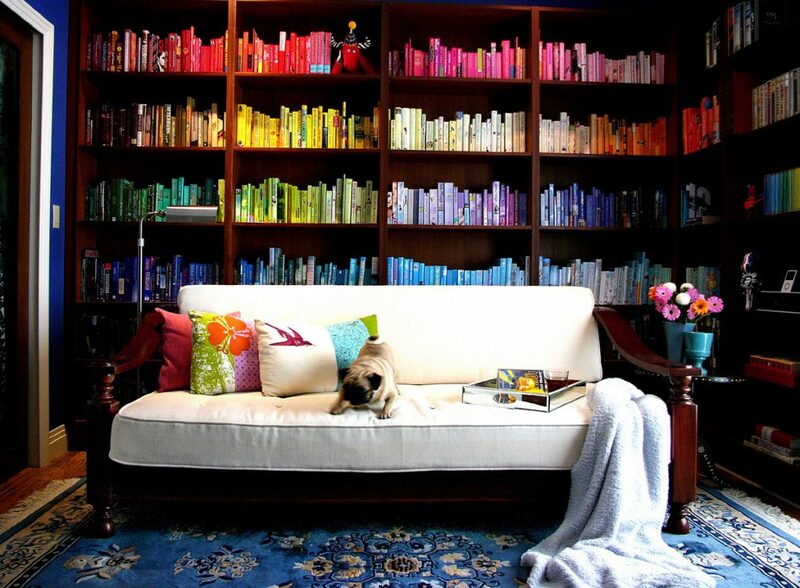 But color-coding your bookshelf? Now that’s something. Spiral staircase? Check. Two stories of reading material? Check. Four legged companion? Check. Oddly placed, chest-high window? Check. 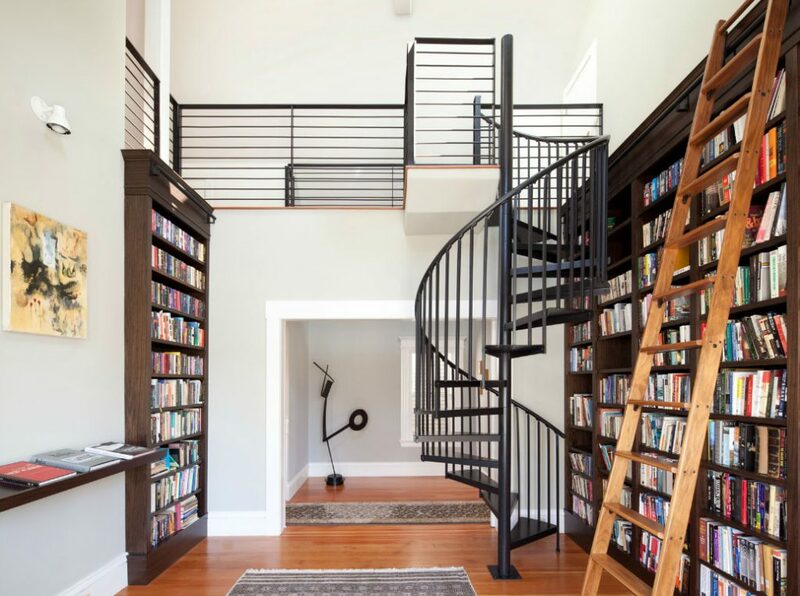 Again, we’ll give any room with a spiral staircase some love. 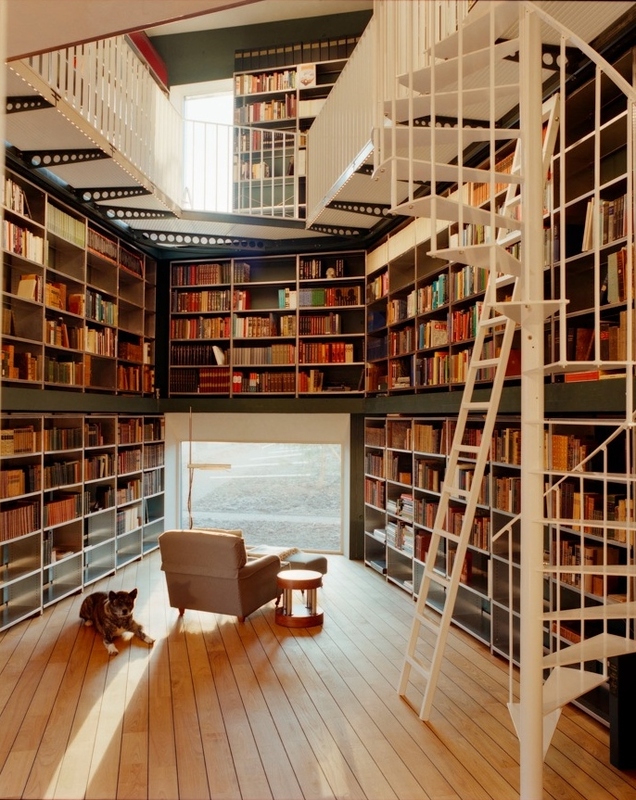 Because which room in the house, besides the bathroom, do you do the most reading?